I'm tapping into my stock of January spark again this month. I resolved to bottle up that sweet 'new year's spark' to carry with me to the first of every month in 2015, and it's been such a joy to dig in with an expectant heart every month. At the very core of this resolution, you'll find a fount of gratitude. Because, friends, gratitude changes everything. It's hard to believe that we're leaping into the second half of the year. Things are barreling forward, but I'm pausing here in the thick of it. Right here in the mess, I'm stopping to soak up the joy. To simply delight in His hand. My heart uncovered a lot of stuff in the past six months. I hustled out of my own striving rather than hustling with a Kingdom perspective. 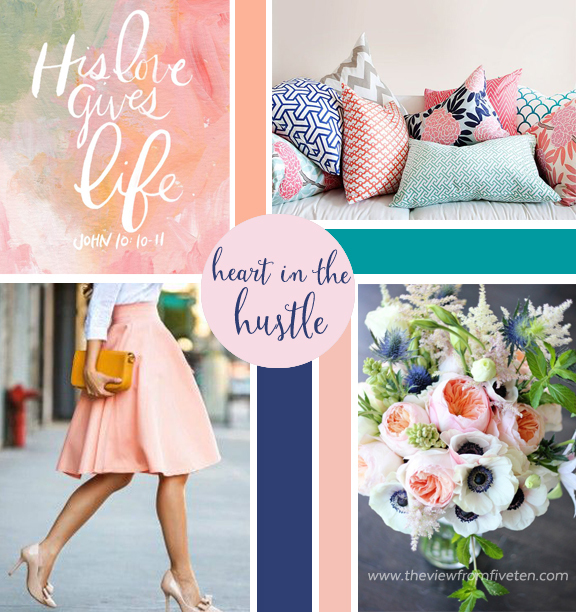 My heart was covered up by the mess of the hustle unaware of how I was stepping out of the path He'd prepared. The good news is, Spring always follows Winter, light always shines in the darkness, and new mercies are ours every single morning. I'm emerging from a season of pruning. Really, our growth is stunted without seasons of pruning. Without the Gardener we'd remain just a bud on the vine. But through pruning He prepares us to bloom in our story. The second quarter of 2015 was one which the Lord showed me how to humbly delight in His work through me. What's to come in the back half of 2015 is sure to be pure joy, friends! Here's what on my radar this month. I'm thrilled to pieces about the potential the rest of July holds! I'm a bit in survival mode, but I can see the fruit in this fresh season of abiding. Though it may be busy, it is most certainly full!